Love In A Time Of Urbanization: The Twofold Vulnerability Of An East African Pop Hit "I Miss You" is a love song by Tanzanian superstar Diamond Platnumz. This song of the summer touches on a big social problem for a booming part of the African continent. 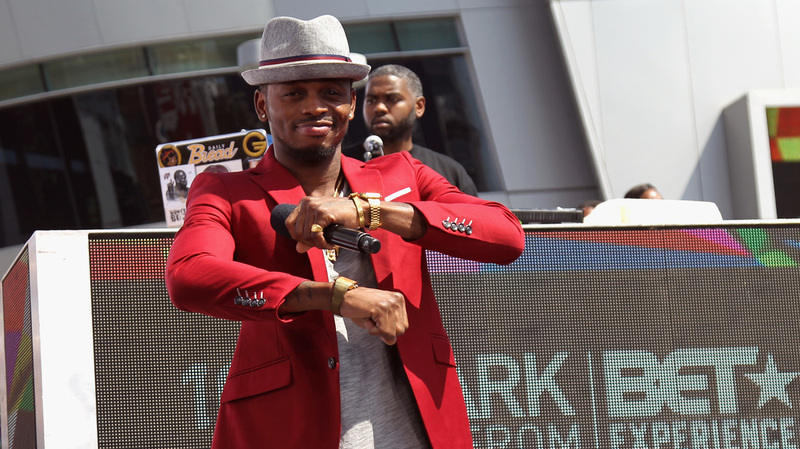 Tanzanian superstar Diamond Platnumz performs onstage during the 2016 BET Experience in Los Angeles. At Melodica Records in downtown Nairobi, a song like Diamond Platnumz's "I Miss You" is guaranteed to provoke fervent debate. The song has blown up cellphones across East Africa ever since the Tanzanian superstar released it in June. In a lot of ways, the song is a departure for Platnumz. His hits are usually club bangers — full of swagger, big cars and propelled by irresistible pop beats. "I Miss You" is not one of those. "I Miss You" ditches hip-hop for more coastal Swahili sounds. It's an earnest love song about a country guy whose lover has taken off for the big city, where she marries an older man who showers her with material things. The whole song revolves around Platnumz begging for her to return. Abdul Karim's father opened Melodica Records in 1971, and it has always been a hub for musicianship. As he listens to the chorus, Karim tells his sister, Leila Khan, and his store clerk, Sahidi Juma, that there is no way this song could have come out of a place like Kenya. He's practically pleading, pleading to her to come back ... and with other cultures, they find it too macho. I can never say something like that. Abdul Karim, of Diamond Platnumz's song "I Miss You"
"They don't even know how to talk of love," Karim says. "They talk of love or women like an object." Tanzanians like Platnumz, the three agree admiringly, are just different. "They have passion," Juma says. "They have emotions." "Like this whole song," Karim interjects, "he's practically pleading, pleading to her to come back ... and with other cultures, they find it too macho. I can never say something like that." Khan says with this song, you can "feel the feminine side of the man." "I Miss You" was released about two months ago and it has already garnered 4.3 million views on YouTube. Njeri Wangari, a culture writer and blogger in Nairobi, says the song is special because it's about a vulnerable man. But, she says, the song is popular because it also speaks to a vast reality here in East Africa. "I'm wondering if the problem is that I have no money," Platnumz sings. "That I said I'd bring meat / but showed up with okra instead / I really wish we'd had a better life / but I could not afford it." East Africa is booming with new investment. Cities are crowded with cool, expensive restaurants and clubs — but to a huge part of the population, much of that is out of reach. At its core, "I Miss You" is a story about urbanization. It's a popular plot device across the entire continent; last year, the Nigerian pop duo PSquare wrote an anthem with that theme. "Bank Alert" tells the story of a broke, small-town guy who goes in search of success in the big city. He leaves a woman behind but five years later comes back on a private jet. "I Miss You," however, is the story of those men who remain. "Unfortunately, a lot of young people are still struggling, because East Africa has one of the highest unemployment rates of youth," Wangari says. "So we have a lot of young men who are jobless." That means young women have to look farther to find suitable men — and it means villages are full of frustrated young men. But in the song, Diamond never gives up. He calls and calls and keeps offering the only thing he has to give: his love. Ultimately, he succeeds. Ultimately, says Wangari, the song becomes about the triumph of love. "It's sort of an encouragement to men that maybe love does conquer all," Wangari says.